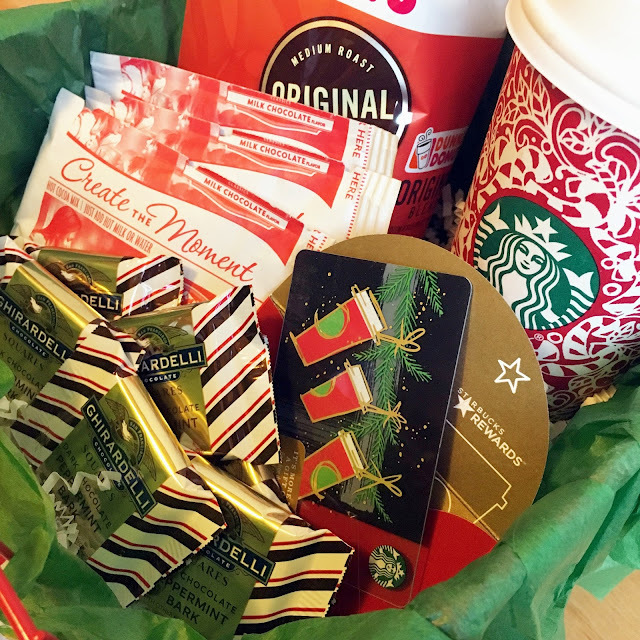 Chasin' Mason: [Holiday Gift Basket Idea Round Up] For the Coffee Lover. 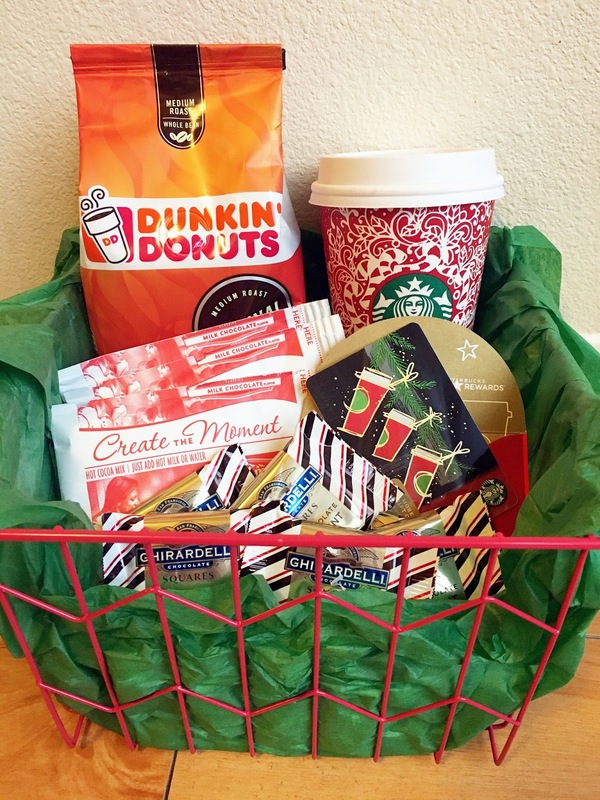 [Holiday Gift Basket Idea Round Up] For the Coffee Lover. Hello everyone! 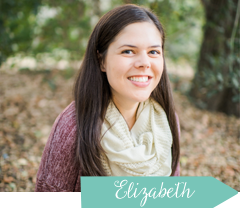 Goodness, I didn't mean to take a week off blogging (and pretty much everything) -- it kind of just... happened. This past weekend was a work event weekend and the week leading up to it is always a bit chaotic, then there's the working 8am-5pm on Saturday and 3:30am-2:30pm on Sunday, and then of course the fog that you're in after not sleeping and then falling asleep at 8:01pm right after you put your kid to bed on Sunday night. I think I've finally recovered and after missing entirely too much, I'm back today to share a little DIY gift basket round up with you all. I promise to fill you in a bit more tomorrow on everything I was supposed to post earlier this week as well as some recent happenings including more details on the picture I posted on Instagram yesterday! But anyways, enough of that for now. On to gift baskets! I've partnered with a few other blog friends to bring you a round up of some gift baskets that would be perfect for gift giving this holiday season. No idea what to get the teachers/hostesses/friends/mother-in-laws in your life? Well look no further, we've got you covered. 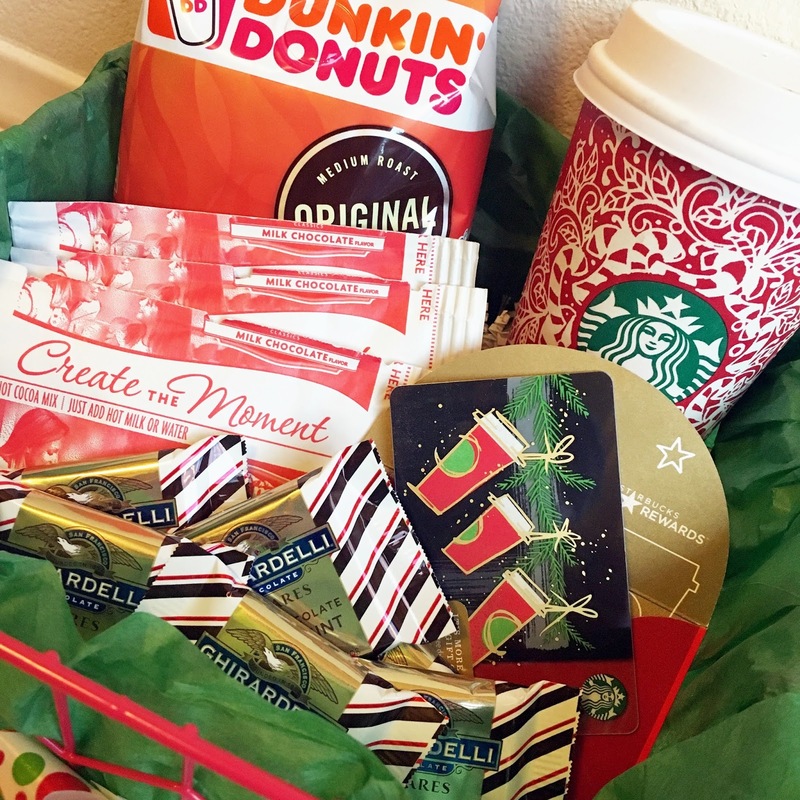 I'd like to share with you my coffee gift basket. If you've been reading my blog for any period of time or follow me on Instagram, you know that I am a coffee lover or, Starbucks lover, to be exact. What I just realized about this gift basket is that I used two competing products - Dunkin' Donuts coffee and a Starbucks cup/gift card. What can I say, I'm not picky. Funny enough, I like going to Starbucks more than going to DD but I like DD coffee at home over Starbucks coffee. I know, it makes no sense. 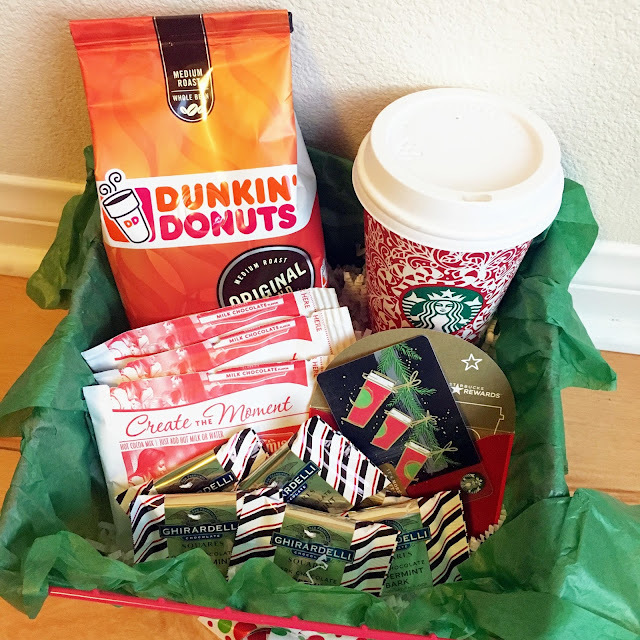 But what's especially great about this coffee lover's gift basket is that it can be TOTALLY customizable! You could totally substitute the DD coffee for Pete's or Starbucks or something completely different. You could totally substitute the Starbucks cup for a mug or a tumbler or a thermos. You could totally substitute the Starbucks gift card for a Coffee Bean and Tea Leaf one or even DD or Pete's. And for the candy? The possibilities are endless! You could even add a pack of marshmallows to go with the hot cocoa packets.... or even a small bottle of peppermint schnapps to add a little extra kick :) Or completely switch it up and add your own twist! Or, if you don't want such a big gift, I made these for Mason's teachers a couple years ago for Teacher Appreciation and they were a huge hit! You could totally send these "gift baskets" in the mail even! 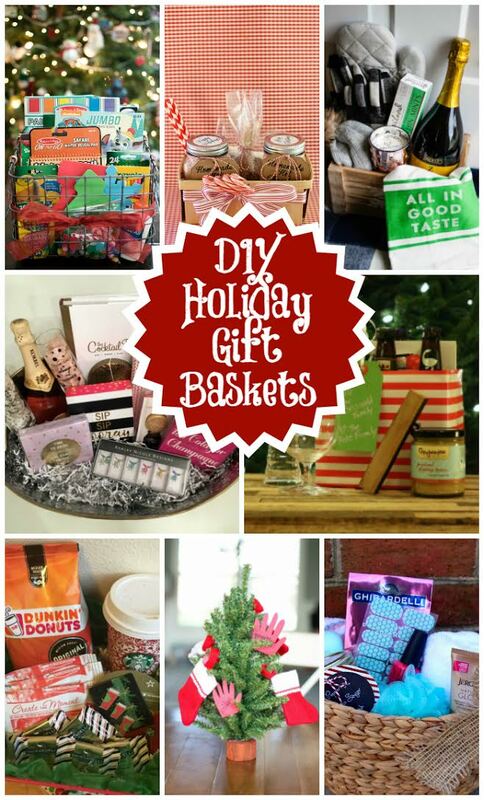 What's your favorite gift basket to make and give for the holidays? Yes please! Dunkin and Starbucks in the same basket. It is like coffee perfection! I know so many people who would love getting this! Are you giving it away or gonna keep it for yourself... cause man I'd be tempted! And I love that you added some chocolates! I love this gift! I want to be on the receiving end of this basket! I'd need a bottle of Bailey's added to mine! ;) We're the same way - love going to Starbucks, but love DD coffee at home more. Love it! I would not be disappointed to receive this! And yep to DD k-cups at home, but Starbucks for froo froo drinks!! Yes please! I love the coffee. Ummm yes!!! I would love receiving this gift and if it was from a student in my class than an A+ for them! Your basket is so cute! Kinsey got so excited when she told me her teacher needs a new travel mug and it made my life easier by not having to stress over a teacher gift ;) I may have to steal your gift card idea- do you have a link to that post? Thanks Liz! So fun!! I love Starbucks coffee at home but love DD iced coffee- it does help that the DD drive thru is only a mile from my house. That gift basket would totally make my day! I cannot survive without a pot of coffee each morning! 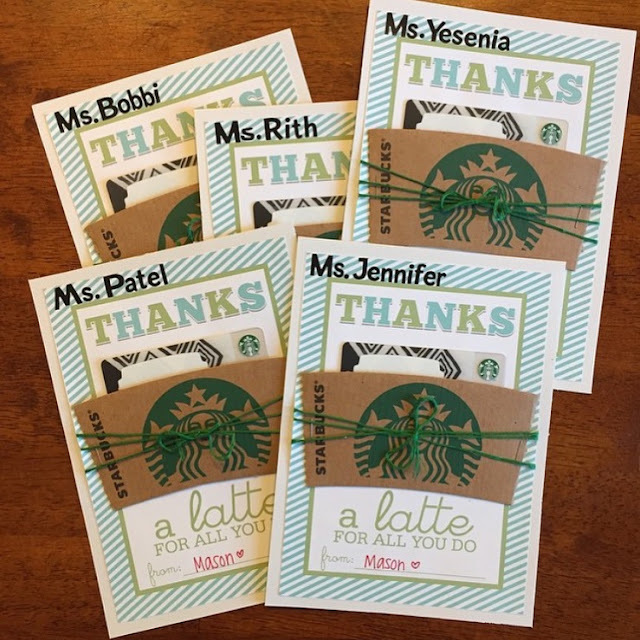 And I'm totally stealing the "Thanks A Latte" for Marcus' teachers for Christmas! Oh this is perfect and a basket I would totally love! Is that a reusable red cup? Why haven't I seen those?!?! This basket couldn't be anymore perfect. The Guys Behind the Blog // December 2016. [Five on Tuesday] Christmas Festivities. Ornament Exchange Reveal and a Holiday Home Tour. [Five on Friday] A Little Bit of Everything.